—Gangnam style is elevated to new heights at this hip hub, where high style and sleek design create an all-night hotspot for luxury, music, art, and more. 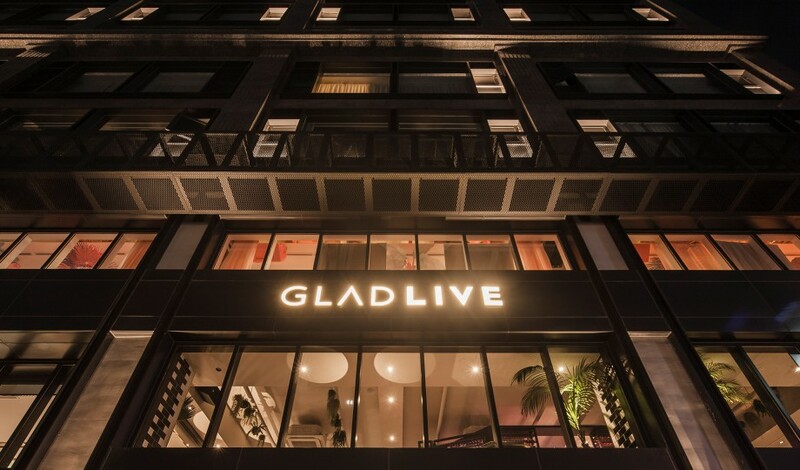 Set in Seoul’s fashion-conscious, upmarket Gangnam district—home to local and global luxury brands and the city’s vast Olympic Park—Glad Live Gangnam is a beacon of vibrancy that serves as an urban playground for cosmopolitan revelers, both homegrown and international. 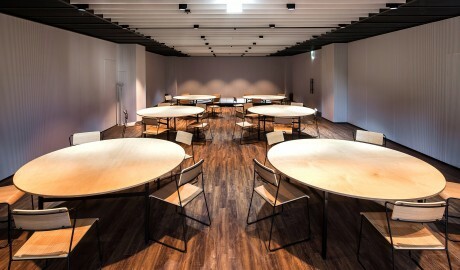 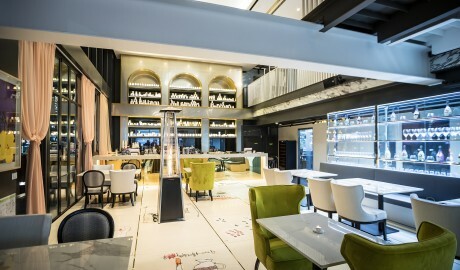 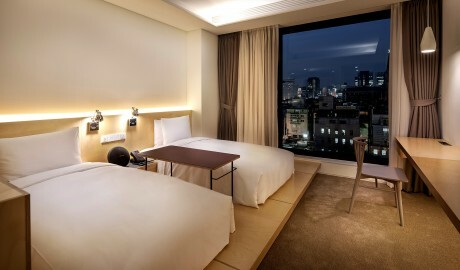 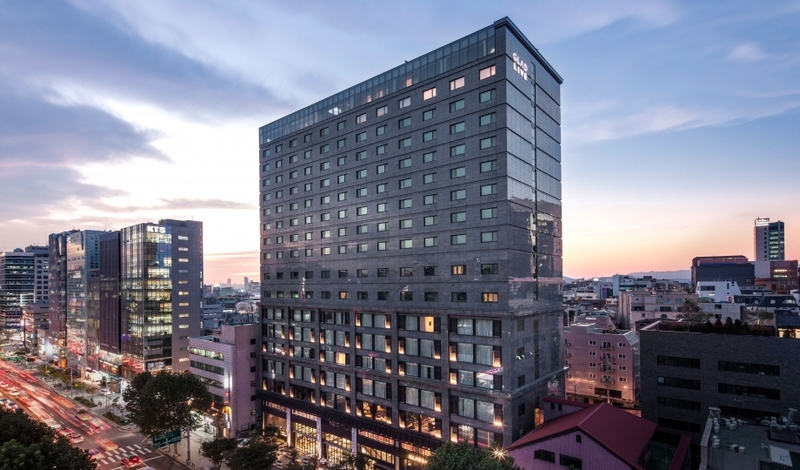 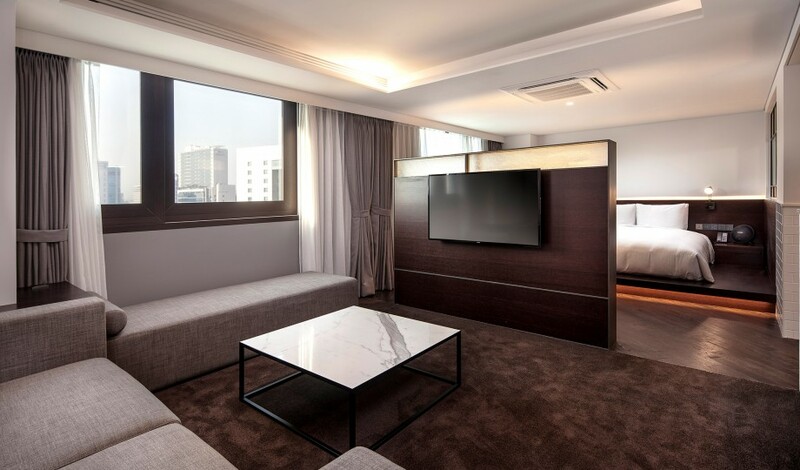 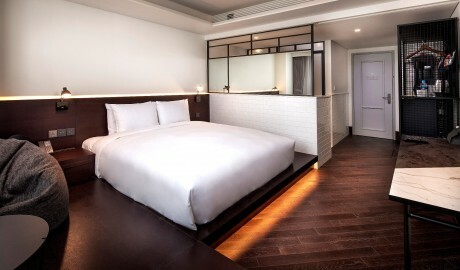 Offering a “curated lifestyle” that is in full harmony with Seoul’s chic nightlife experiences, the 210 rooms and suites are design-conscious hubs for the stylish at heart. 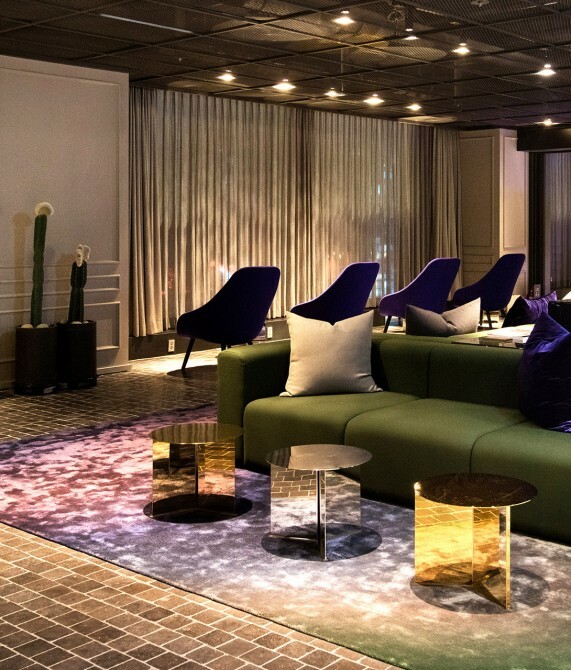 Here, amid sleek monotones that are informed by the stark, sweeping cityscape below, one finds exhibitions of contemporary art and design on the hotel’s 20th floor, accompanied by live music. 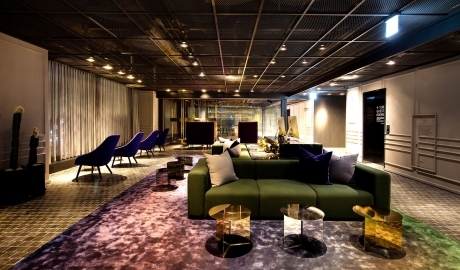 But whether guests are dancing all night or up early to take on the city, the minute they step into the Glad Live Gangnam’s lobby they enter a striking, ink-colored contemporary design world, which, like the hotel itself, is a private retreat amid a pulsing city. 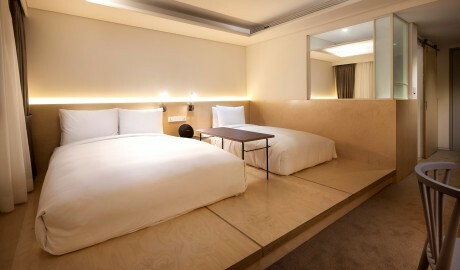 The hotel’s 210 rooms and suites range from 24 to 81 square meters and span seven categories. 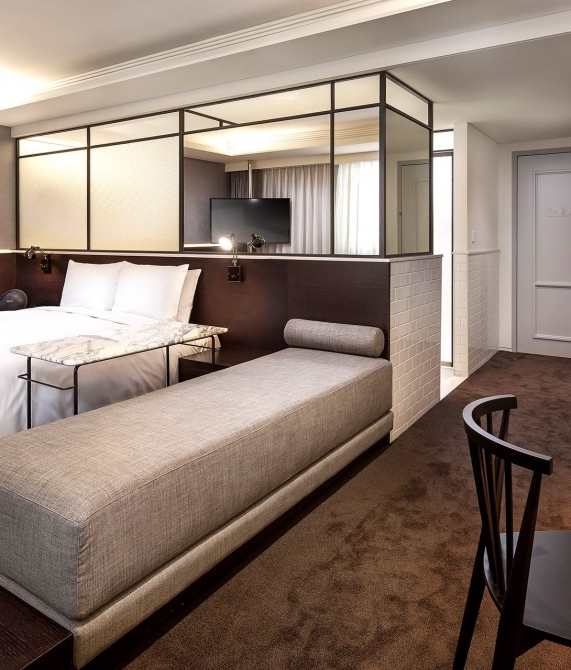 While the Superior Double, the Deluxe Double, and the Glad House—at 25, 43, and 52 square meters, respectively—feature queen-size beds, the 24-square-meter Standard Twin room offers twin beds and the 33-square-meter Jumbo Twin boasts a double bed and a single bed. 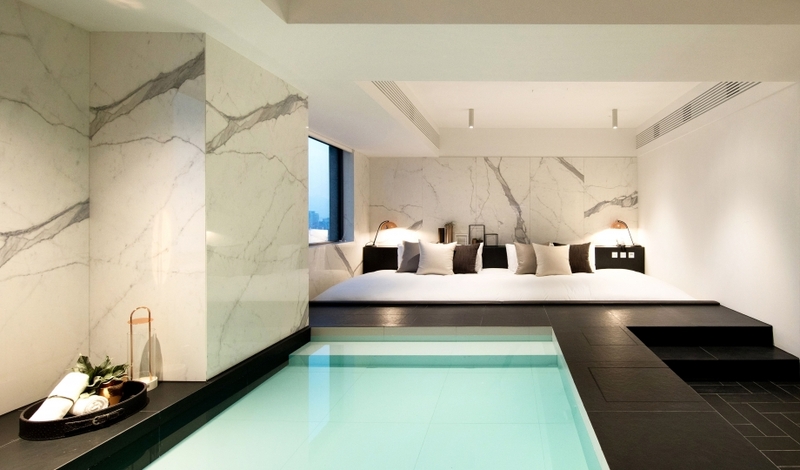 The 81-square-meter Live Pool Suite and the 79-square-meter Glad Pool Suite boast a king-size bed that can sleep three and four guests, respectively. 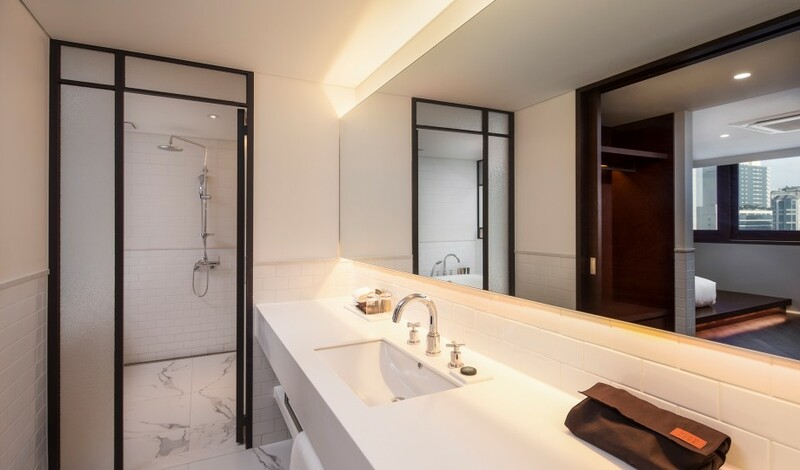 While the Superior Double, the Standard Twin, the Jumbo Twin, and the Live Pool Suite have showers, the Deluxe Double and the Glad Pool Suite offer bathtubs and the Glad House plays host to both a bathtub and a shower. The Glad House also features a living room and a dining table, and the Live Pool Suite and Glad Pool Suite are each home to a mini pool and a sitting area. Through open spaces and an abundance of natural light, Glad Live Gangnam has transformed an existing structure into a beloved fixture in the community. 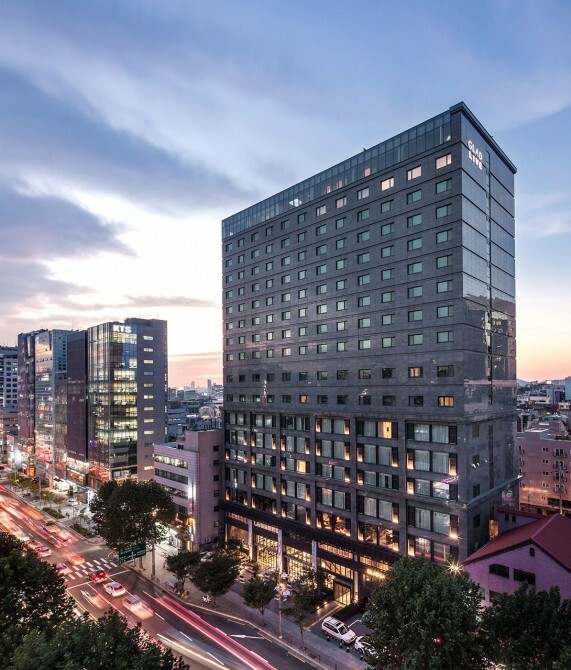 Flashy, fashion-conscious, fun, and forever young at heart, Seoul’s Gangnam neighborhood attracts an international crowd of shoppers as well as those seeking beauty and old-world traditions.